Wisteria Blue Moon was developed by Harvey and Brigitte Buchite and originally marketed through Rice Creek Gardens. 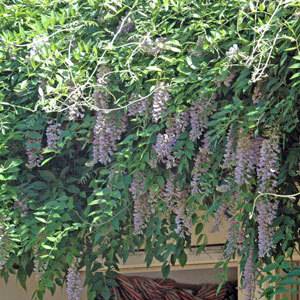 With our new nursery we will continue to offer this wonderful hardy variety of the Kentucky Wisteria. Hardy to -40 degrees F. it will bloom up to three times a year when planted in full sun.